This winter is shaping up to be a great year for skiing! If you were waiting to see if the snowfall would be in your favor before booking a ski trip, now you can safely book a fun ski trip. 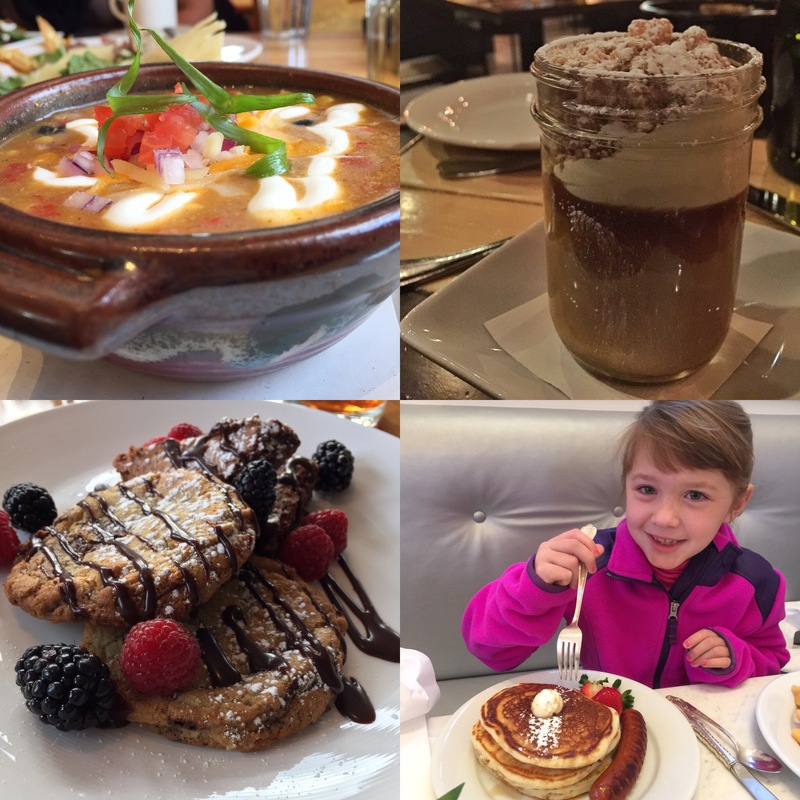 Our family spent a long weekend in Park City, Utah in December and we were amazed at how easy Park City was to get to. Flights got us to Salt Lake City in less than two hours and then it was a short and scenic 35 minute drive to charming Park City, Utah. Truly a quintessential mountain ski town, Park City has it all—world class skiing, restaurants, lodging, and most of all views. There are accommodations to fit all travel styles and budgets, and friendly, down-to-earth locals that make everyone feel welcome. 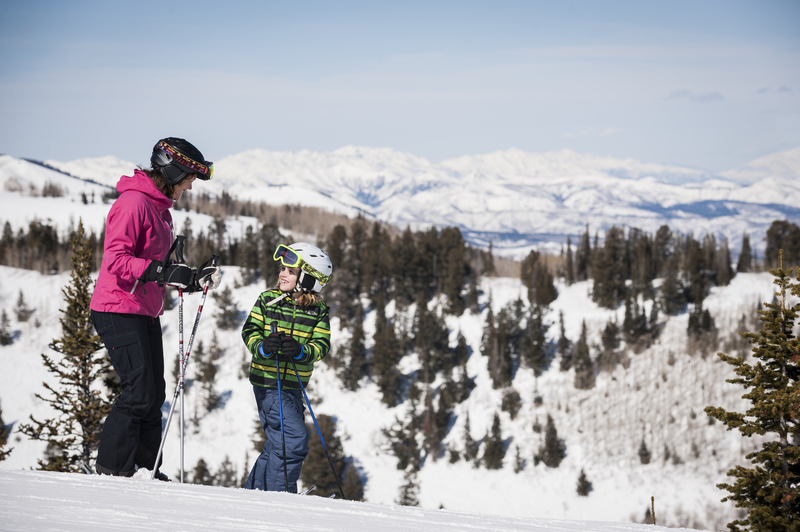 If you’re looking for deals, there are terrific stay and ski packages at both Deer Valley and Park City to choose from. Skiing at Deer Valley | Deer Valley is known for it’s unrivaled customer service, beautiful tree-lined groomed runs, and luxury accommodations. Skiers only. Don’t be surprised if you see a celebrity or two during Après-ski. 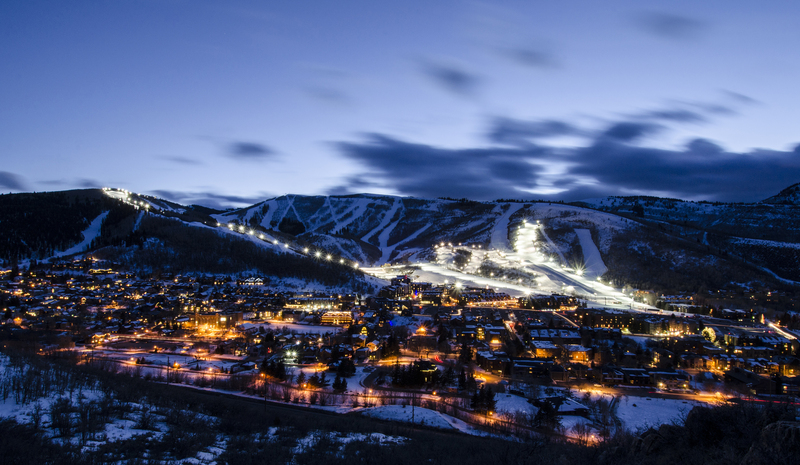 Skiing at Park City Mountain Resort | Park City is now the largest ski resort in the U.S. The mountain is buzzing with snowboarders and skiers of all levels. Don’t miss the new gondola that connects Park City and Canyons. Viking Yurt Sleigh Ride | A cat-driven sleigh takes guests wrapped in cozy blankets 1,000 feet up the runs of Park City Mountain Resort..The warm and cozy Viking Yurt will have an elegant five-course meal waiting, accompanied by live music via a baby grand piano. You can’t do this at every ski resort. Shopping at Art Galleries | There are lots of art galleries on Main Street to tempt you to consider a living room makeover back home. Don’t miss the Park City Gallery Stroll on the last Friday of every month. Food Tours | Park City Food Tours offers snowshoe tours on Friday mornings. Enjoy a two hour nature tour followed by lunch at a local hotspot. There are also tours through the week including a historical walking tour of Main Street that includes stops at some of Park City’s best restaurants. Fireside Lounge | A unique experience that you’ll be talking about back home. Close your eyes and imagine a restaurant where there is a large fireplace in every room cooking you course after course of delectable dishes from the European alps including Swiss raclette cheese, fire-roasted leg of lamb, stews, fresh baked breads, and even a room for dessert fondues. But it gets even better—horse drawn sleigh rids are available for hire to take you there. Handle | If you are looking for a trendy, foodie restaurant that is worthy of your Instagram pics, head straight to Handle. It’s a bit of an odd location inside of business building, but you will forget all about that the minute you walk in to their hip bar and buzzing restaurant. The staff truly love their job and will welcome you with the story behind each of the small plates, charcuterie boards and craft cocktails and desserts. Don’t miss the Buffalo Cauliflower, and Caramel Pudding in a jar. Did someone say Rattlesnake cocktail? I was pleasantly surprised at how many of the features of their dishes were sourced locally or made in house. Tupelo | Chef Matt Harris invites you to open your mind and palette to his globally inspired culinary adventures. He is a long time practitioner of slow food and farm-to-table cuisine. We don’t dare say more. Make your reservation at Tupelo and prepare to be surprised. Zoom | A former Union Pacific Railroad station in the heart of Main Street Park City that is now a part of Robert Redford’s Sundance Resort family of properties. Visitors turn to Zoom for a delicious spread of hearty Americana cuisine with a nod toward fresh, locally sourced ingredients that will delight meat lovers and accommodate vegetarians. Lodging in Park City | There’s a wide variety of accommodations to choose from in Park City. Take your pick between full service hotels, condos and vacation rental properties, bed and breakfasts, home rentals, and more. Park City Deals | If you are looking for stay and ski packages, late season family packages, military discounts or other travel savings—make sure you visit the Park City Special Promotions page. 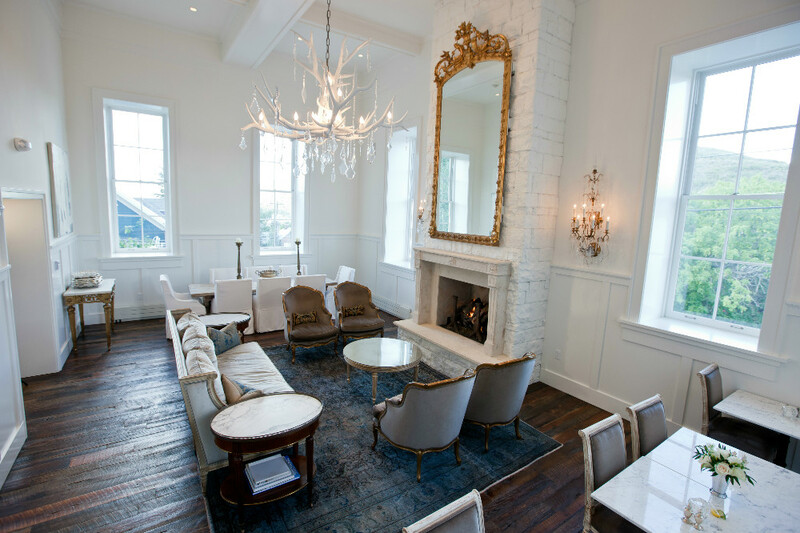 Washington School House Hotel | We stayed at the Washington School House Hotel, a luxe boutique property with 12 rooms and suites, an outdoor pool and Jacuzzi, and prime location to both Main Street and Park City. There’s a nearby chair lift if you want to head straight to the snow, or a personal shuttle to take you wherever you need to go in town. What sets the hotel apart from other luxe properties is their attention to detail, love for the property and its history, and genuine care for the guests. While it has the feel of a romantic getaway, they do not shy away from children. Actually, they make a point to find out how old the child is if one will be coming and have a friendly greeting for the child from their gift shop or nearby stores. We will be back because it was so relaxing to not have to take out your credit card at every turn. Once you check in, everything is taken care of. Expect gourmet breakfast, drinks and sweets by the fire, and charcuterie or or something savory forAprès-ski. Why did we leave? 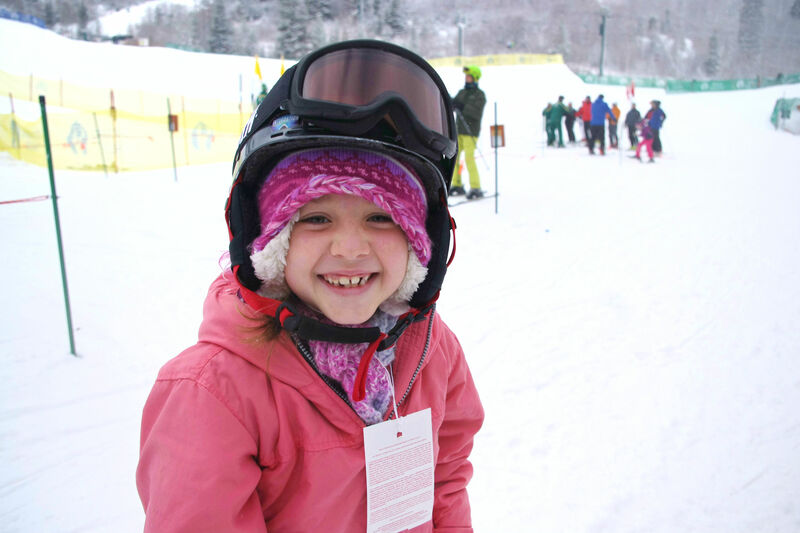 When to go: March and April ski days are primarily sunshine and blue skies, yet still some of the Greatest Snow on Earth – it’s a great time for families to jump into their first ski experiences. If you’re going to wait until next winter, check with the event calendar. You might want to wait until the end of December or later – there are less crowds in early to mid December, but less runs are open while they wait for the snow to come. That means the beginner slopes can also have more advanced skiers on them too. Great for Non-skiers too: Do you have a family member that doesn’t ski? There are plenty of on mountain non-skier activities, too. At Park City Mountain Resort, try the Alpine Coaster and the zip line. There’s also snow tubing at Gorgoza Park and extreme tubing at Olympic Park. Christmas shopping trip: You’ve heard of Park City because of the Sundance Film Festival, but get to know it yourself and you’ll find it a special place that beckons for a return visit. Before Christmas is a fun time to visit because Main Street is lit up with holiday decorations, carolers can be found singing on the sidewalks and Santa rides into Main Street on a chair lift. Do you holiday shopping at the many boutiques and art galleries and keep your eye on event calendars for local holiday bazzar. Notable street art: Fans of Banksy street paintings can find some in and around Main Street Park City. We saw two – one that is on the side wall to the Java Cow building and another is across the street and down the steps from the Washington School House Hotel. Several airlines fly from San Diego to Salt Lake City including Alaska, American, Delta, Frontier, and United. If you book a month out, you can find flights in the $250 RT range for a vacation between Thursday or Friday and Sunday. Last minute and holiday weekends can easily double, but if you stay longer than the weekend they can drop below $200.